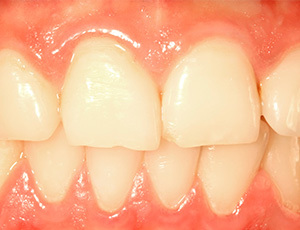 At Premier Dental Care, we recommend scaling and root planing when our patients are struggling with moderate to advanced periodontal disease (also known as periodontitis). This non-surgical treatment is an effective way to remove dental plaque, tartar, and other harmful toxins from the gum tissue. As a result, the progress of periodontal disease will be halted, and painful inflammation will be reduced. Dr. Prokopets is our top-rated periodontist here at Premier Dental Care, and she looks forward to assisting you. Scaling and root planing is performed in two distinct sessions. During the scaling portion of your treatment, we will use an ultrasonic scaling tool to remove accumulated tartar and plaque from the tooth crowns, the gum line, and the tooth roots. During the root planing portion, the rough spots on the tooth roots will be smoothed over in order to reduce the risk of further flare-ups and promote successful healing. Before we recommend scaling and root planing, Dr. Bakhtyari will provide patients with a thorough oral examination and possibly X-rays as well. Our goal is to form a comprehensive diagnosis that will ensure your treatment plan is the right one. If you have any questions about periodontal disease, you are always welcome to ask our doctors or our hygienists.